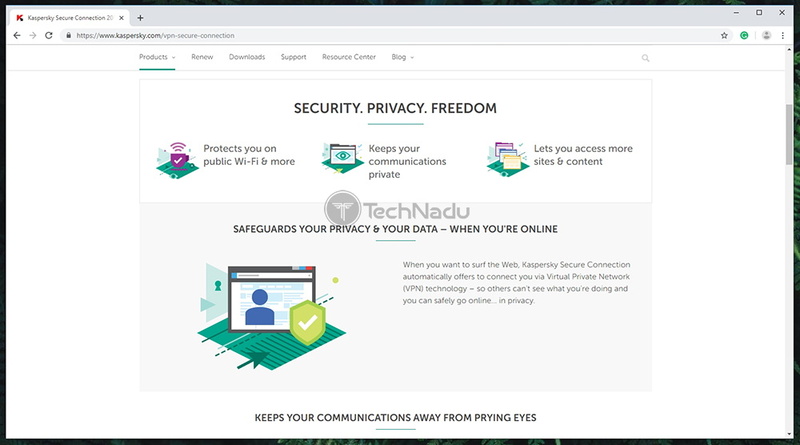 Kaspersky Secure Connection Review 2019 – A Highly Problematic VPN! 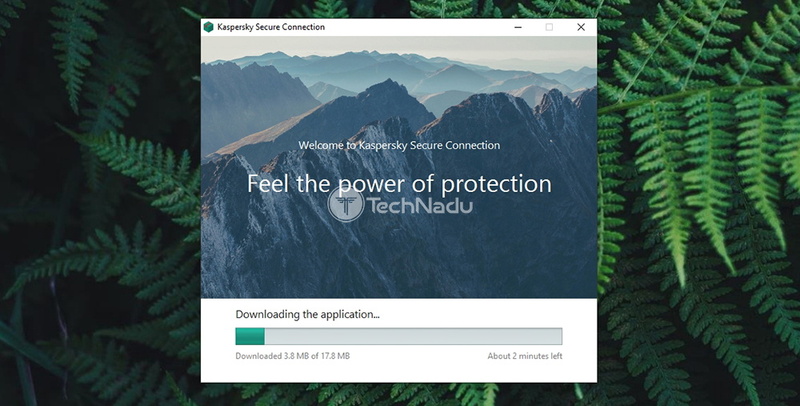 Kaspersky Secure Connection Review 2019 – A Highly Problematic VPN! 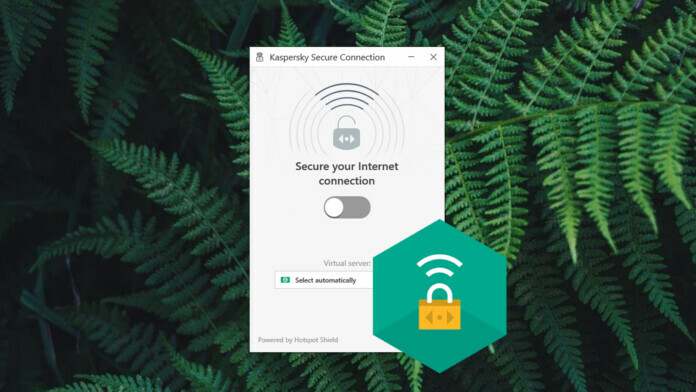 Kaspersky Secure Connection VPN Review – Incredibly Basic & Highly Problematic VPN! When choosing from different VPNs, it’s natural to go for a more recognizable brand, right? Well, this seems like a good idea, in general. However, there are always certain examples that make you question your decision, and for good reasons. 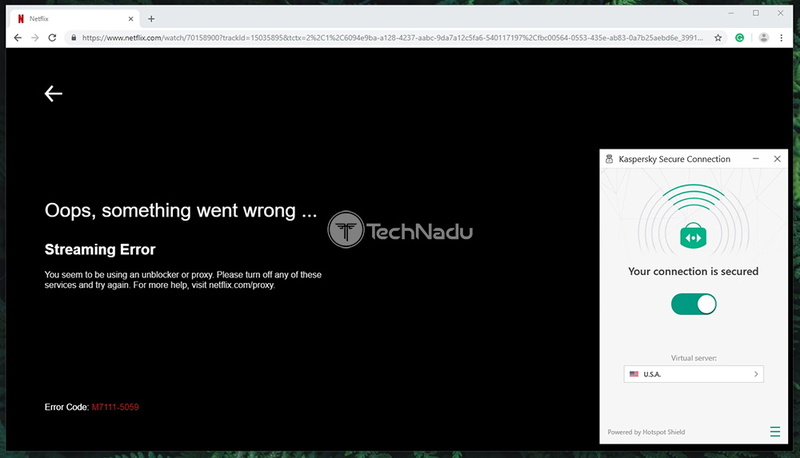 We have an exactly that kind of situation today, where we’ll be testing and reviewing Kaspersky Secure Connection. It’s easy to say that Kaspersky is one of the most recognizable brands in the world of crypto-security. This company was founded all the way back in 1977 and today has more than 3,000 employees worldwide. Among this company’s prominent products, we have the Kaspersky Anti-Virus, Internet Security, Security Cloud, Password Manager, and plenty more. With this said, it’s safe to say that the company’s Secure Connection VPN can be nothing less than a stellar product, right? Well, we’re happy you’re here to read this review. To see why – keep on reading. 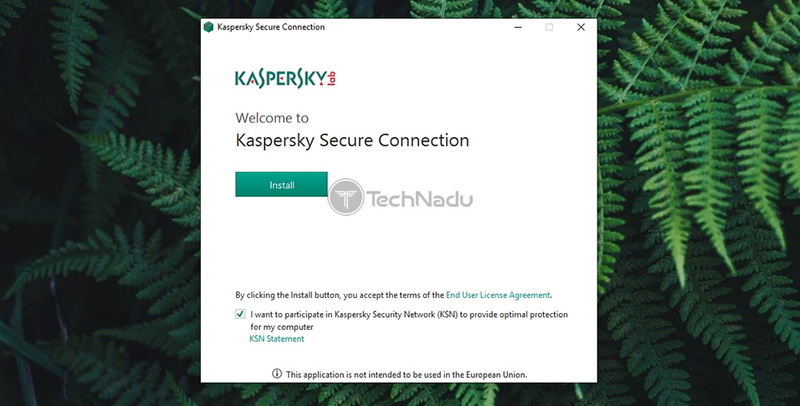 We’re going to introduce you to Kaspersky Secure Connection via three tables, found in this introductory segment. We’ll kick things off by giving you brief highlights of the most prominent features of this VPN, so take a look at our first table, found below. Logs certain types of data. AES-256; Catapult Hydra VPN protocol. We are sure that many of you need a reliable VPN for media streaming. After all, why not unblock a few media streaming websites while enjoying the benefits of having a protected connection? This sounds good in theory, but not every VPN will do the job. Here’s how Kaspersky ranks. And finally, let’s check out TechNadu’s conclusion regarding this VPN. We want to let you know about our final score in case you’re in a rush. Very simple UI; Suitable for complete beginners; Above-average speeds. Based in Russia; Collects plenty of data; Small server network; Can’t be installed on routers; Can’t unblock Netflix; Complicated customer support; Overpriced. We believe that Kaspersky Secure Connection is one of the least capable VPNs right now. You can easily find much better alternatives, that also cost less. We’re finally ready to dive into our full and hands-on review of Kaspersky Secure Connection. We’ll be telling you everything you need to know about this VPN service, so make sure to stay with us until the end of this article. As you can see, we’ve tested Kaspersky’s VPN for ourselves, by actually getting a subscription and running it on our devices. This allows us to test different aspects of this VPN in depth, which you can read more about in our article on how we review VPNs. Kaspersky comes surrounded in mystery and it also comes with numerous worrisome accusations about its relations to the Russian government. Our Score: 1/10. We’ll first tell you where Kaspersky comes from, what it means for regular users, and whether there are any past events that should question the validity of this VPN. Kaspersky Secure Connection comes from Russia, which is the first major problem with this service. In case you didn’t know, this country has recently targeted a number of VPNs, asking them to register with Roskomnadzor and to provide this telecommunications authority various types of personal data. 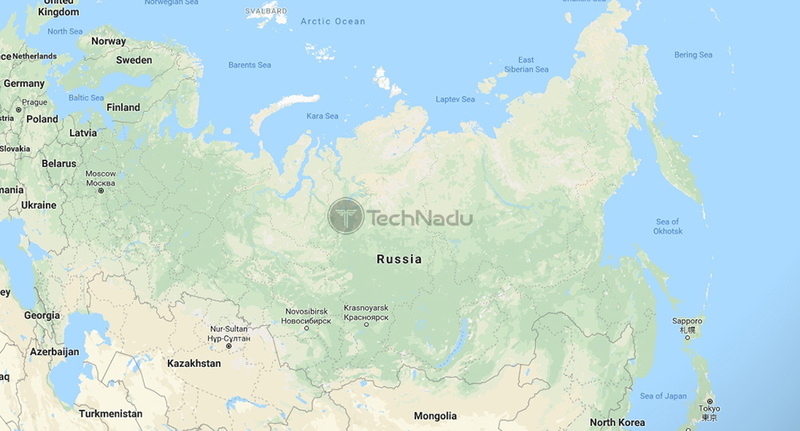 VPNs such as NordVPN, VyprVPN, IPVanish, and plenty more have responded by shutting down their Russian servers which helped them avoid collecting and registering personal data. As you can see in our central article on the recent Russian VPN ban, Kaspersky is one of the targeted companies. However, unlike other VPNs, Kaspersky is actually registered in Russia which puts it in a highly problematic situation. When pressed for answers, Kaspersky said that it will comply with Roskomnadzor’s request. This means that users of this VPN in Russia are now blocked from visiting a wide range of websites. In addition, this VPN is now most likely forced to collect various kinds of data – which beats its primary purpose. There are also various other events unfolding in Russia during the last year, which should question whether Kaspersky Secure Connection is worth your trust. Some of these are the blocking of ProtonMail in Russia, the country’s decision to create a sovereign Internet system, as well as the country’s pressure on Facebook and Twitter to relocate their servers. It’s safe to say that Russia is one of the worst environments in the world for VPN-related operations. When it comes to Kaspersky’s VPN solution, we can’t say that any data breaches were detected in the past. However, we need to take a look at this company in its entirety. By checking some background info on Kaspersky, you’ll find plenty of interesting information online. Back in 2016, the USA government banned Kaspersky from being used across all government agencies. The same happened in the United Kingdom and this is when the Dutch government followed with the same decision. Then, it was revealed that in 2017, Israeli government hackers stole data from Kaspersky Lab servers. There are plenty of troubling events that you can read about in this Motherboard-published piece. We believe that it’s safe to say that using the Kaspersky Secure Connection VPN can be a very troublesome decision. There’s no direct evidence that Kaspersky is taking advantage of its users. However, this doesn’t mean that there’s no reason for concern. Kaspersky Secure Connection supports only 4 platforms. You can’t install this VPN on a router, media streaming devices, and many other platforms. Our Score: 3/10. Ideally, you want a VPN that can be used across all your devices – in your home as well as when you’re on the go. Let’s see whether Kaspersky Secure Connection is the right pick. As you can see from the table above, only four platforms are supported by Kaspersky’s VPN solution. When it comes to desktop systems, you will find native apps for Windows and MacOS. 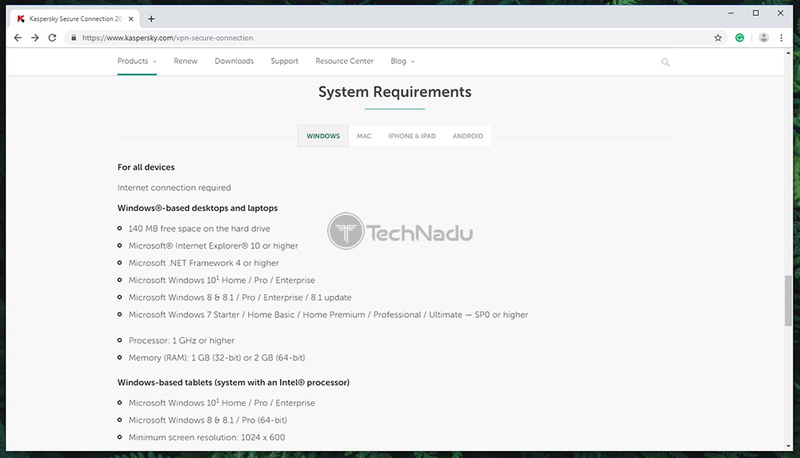 As you can see, Linux is missing here and we’re disappointed to say that even an option for manual configuration isn’t there. In terms of mobile operating systems, Kaspersky supports Android and iOS. These are fully-featured VPN apps that can be installed natively. And that’s pretty much it – no other devices are supported, not even via manual configuration. It’s disappointing that you can’t install this VPN on a router. Also, media streaming platforms such as Android TV and Amazon FireOS are left out. With this said, it’s clear that Kaspersky brings perhaps the most limited support for different devices and platforms, focus only on the most dominant ones. Lastly, let’s not forget to mention that you can use this VPN on up to 5 devices at the same time. This seems generous enough, allowing you to keep all your personal devices protected. Kaspersky begins asking for your data even before you install the application (during the installation process). It certainly lacks in transparency. Our Score: 3/10. Before you start using this VPN, you need to have a valid ‘My Kaspersky’ account. This means that you need to subscribe to Kaspersky Secure Connection first, which will grant you a username and password. Then, feel free to log-in to your account on the official website, from where you can download the application itself. We’ve tested this VPN on our Windows 10 PC, but the installation procedure is the same on all desktop platforms. You need to download the installation file that’s around 2.5 MB in size. Then, initialize the installation and you’ll see a screen saying ‘Connecting to Kaspersky Lab server’ – which we believed was a sentence indicating that the application is being downloaded in the background. However, that wasn’t the case as you’ll get to download the application during the next step. Before you install the software, you’ll also be asked to share your data with the Kaspersky Security Network (KSN). This network’s role is to identify previously unknown malware types, reduce detection errors, and improve detection algorithms of various Kaspersky products. Since you want to use a VPN, you want to protect all your Web traffic and data and avoid having it collected by anyone – so it’s good to know that you can opt out. All in all, the process of installation should not take more than a few minutes. It isn’t as transparent as we’d like it to be, but it comes somewhat streamlined. No matter if you have any previous experience with VPNs, you should be able to go through this process with ease. 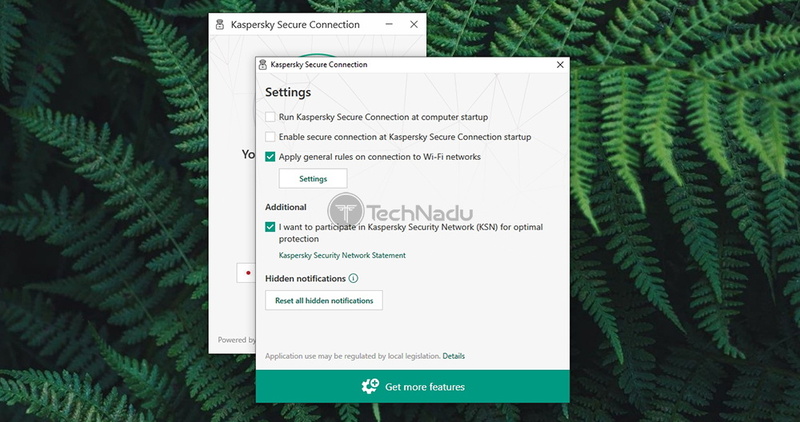 Kaspersky Secure Connection is a basic VPN service. In comparison to other VPNs, especially top-rated ones, it falls short in pretty much every way. Our Score: 3/10. We’ll now take a look at some of the most prominent features that Kaspersky Secure Connection brings. This includes both basic and advanced features, so here’s what you can expect. In terms of protecting your identity, top-rated VPNs usually utilize both DNS and IPv6 leak protection. However, Kaspersky has decided to offer a DNS leak protection along with IPv4 leak protection. Just like with other information regarding this VPN, we had to really dig to find whether IPv6 or IPv4 were supported. It seems there’s general confusion about this among Kaspersky Secure Connection users, who are led to believe they’re getting IPv6 – which obviously doesn’t work as it degrades to IPv4 instead. Surprisingly, this VPN also doesn’t have a kill-switch, which is something we see built-into even the weakest VPNs out there. This means that your true information might be revealed to third-parties if you get disconnected from a secure server, for any reason. With this said, we don’t recommend downloading torrents or large files while using this VPN. Also, there are none of the more advanced features such as ad-blocking, anti-malware, and split-tunneling. The truth is that some of Kaspersky’s free tools can mitigate these missing points, but that only adds to the overall complexity as you need to have multiple individual applications installed. Finally, it’s also good to know that you get unlimited bandwidth, server switches, and data. 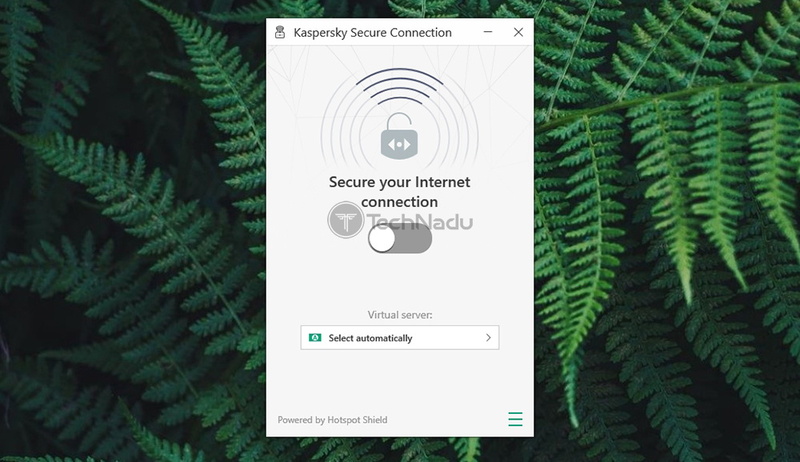 With every said so far, we conclude that Kaspersky Secure Connection is a very basic VPN solution without much to offer. With only 18 secure servers on offer, Kaspersky Secure Connection truly disappoints. Even the most basic users will be left wanting for more. Our Score: 1/10. We’re glad that you’re reading this review because finding any type of information on Kaspersky’s website is close to impossible. This especially applies to its server count, which is a well-kept secret. After talking to the company’s customer support team, we were told that Kaspersky Secure Connection is powered by 18 secure servers in 18 countries. And as we started to use the software itself, we saw that connection to individual cities or locations in impossible. This means that you can only select a country, and Kaspersky will automatically make a connection to a server located in that country. In other words, there’s not much to choose from here. You might think that having 18 servers across the world is enough. 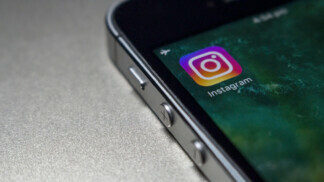 However, what you need to know is that top-rated VPNs such as NordVPN, ExpressVPN, and Private Internet Access VPN all have between 3,000 and 5,000 servers in pretty much every country in the world. And these are not some highly expensive alternatives; they’re quite affordable, actually. We’ve come across several VPNs offering between 30 and 50 servers so far (and we’ve tested dozens and dozens of different options). However, it looks like Kaspersky Secure Connection is the VPN with the smallest server count yet. With only 18 countries on board, and giving you access to only 18 servers, without having the ability to choose from different locations, Kaspersky truly disappoints in this aspect. Kaspersky Secure Connection is incredibly basic, in almost any aspect possible. We think that only complete newbies will be impressed by this VPN. Our Score: 5/10. 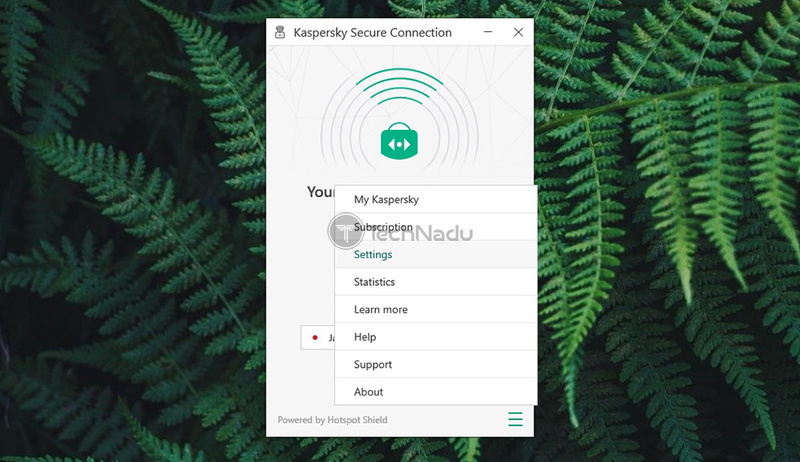 Upon launching Kaspersky Secure Connection, you will see a nicely designed and intuitive UI. There’s an ON/OFF switch which, upon the initial launch of the application, will connect you to the nearest server. However, as you can expect, you can also select a server manually at the bottom part of the screen. As noted earlier, you won’t get to select an individual location or city. Instead, you select a country. Unlike other VPNs, Kaspersky doesn’t let you create custom lists of favorites and it doesn’t allow any kind of fine-tuning. Instead, click on a country and you’ll return to the home screen. Flip the ON/OFF switch and you’ll be connected to the selected server after a few seconds. In the bottom-left portion of the home screen, you’ll see the following message: ‘Powered by Hotspot Shield’. You might be surprised to know this, but Kaspersky is actually using the infrastructure built and offered by Hotspot Shield VPN. If you click on the provided link, you’ll read our freshly updated review of the VPN in question, where you’ll learn about its numerous downsides. 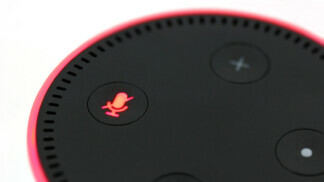 Perhaps the most problematic issue is the possible data logging and numerous privacy-related accusations from the past. Since Hotspot Shield is far from being a ‘no logs’ VPN, we believe that Kaspersky Secure Connection doesn’t stray away too far either. To dive a bit deeper into this application, you can use the hamburger button in the bottom-right corner. This is where you’ll find a link to your ‘My Kaspersky’ account, various information related to your account, customer support links, troubleshooting guides, and your VPN usage statistics. Many of these buttons serve as links to respective pages on the official Kaspersky website. However, what you really need to pay attention is this application’s settings panel. As you can see from the screenshot, Kaspersky comes with a really simple settings panel. You can decide to run the application at computer start-up, and you can automatically connect to a secure network. Then, you can instruct the VPN how to behave when you connect to different Wi-Fi networks, so you can automatically protect your device when connecting to public Wi-Fi hotspots. Then, you can decide to opt in/out of the Kaspersky Security Network, which sends a bunch of data for analysis back to the company behind this product. Once again, it’s clear that Kaspersky Secure Connection is a thoroughly basic VPN – where you won’t find a single advanced feature. It’s fully automated and doesn’t allow you to tinker with anything. You can’t even select from different VPN protocols, so you need to trust the VPN to select the best possible configuration that won’t affect your Web connection in a dramatic way. With this said, advanced users will be far from happy with this VPN service. This VPN can’t unblock any of the world’s popular media streaming service. It supports P2P, but you must stay away for copyrighted files. Our Score: 2/10. Now, it’s time to check if Kaspersky Secure Connection can unblock Netflix, Hulu, and other popular media streaming services. Take a look at the table found below. Sadly, this VPN shouldn’t be your choice if media streaming is important to you. That’s because it can’t unblock Netflix, Hulu, BBC iPlayer, nor Amazon Prime Video. Each of those websites is capable of detecting the presence of this VPN, which means that your access will be blocked. When it comes to torrenting, Kaspersky Secure Connection says that it allows P2P traffic. However, they keep mentioning in their legal documents that you should respect the laws of your home country. And since copyright infringement is a serious issue around the world, this means that you must stick to legal torrents only. Unless you do so, Kaspersky is willing to cooperate with government agencies around the world, so pay attention to what kinds of files you download. Kaspersky Secure Connection uses a somewhat unknown VPN protocol and collects plenty of information about your hardware and software. Our Score: 3/10. We all know what’s the primary purpose of any VPN – to protect your online identity and to hide your Web traffic from third-parties. To do this, VPNs use a wide range of encryption levels and VPN protocols. So, here’s what to expect from this VPN. Kaspersky isn’t even trying to advertise its privacy-related features. On its official website, you have to be quite determined to find information regarding its encryption and VPN protocols. And this is the reason why you’ll find polarizing information about this VPN in online reviews. Since it uses the infrastructure of Hotspot Shield, Kaspersky Secure Connection uses AES-256 encryption. Luckily, this is the strongest type of commercially available encryption. Even if someone steals your data, it would take a long, long time until your data becomes readable. And in terms of VPN protocols, you can count on the Hydra VPN protocol. This is a rarely used protocol which we can only hope to have been properly tested. And since OpenVPN can’t be found here, this is the reason why you can use Kaspersky VPN on your router. Kaspersky keeps track of your VPN usage. Information regarding your computer’s network connection: Name, checksums of the MAC address, a manufacturer identifier, information about the type and security of your wireless network, DHCP settings. Information regarding your device’s hardware and software: OS type, model name, ID, firmware version, build number, manufacturer name, processor type, device platform type. 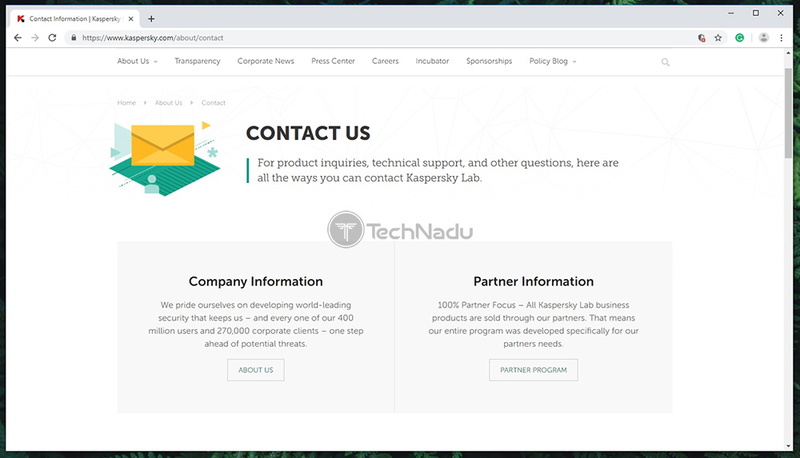 It’s safe to say that by using Kaspersky Secure Connection, you’re giving access to this company to every aspect of your device. Kaspersky can deeply analyze your device and what you do online. And even if this information is anonymized, we wouldn’t feel safe using this VPN. Luckily, this VPN doesn’t leak your data in real-time. 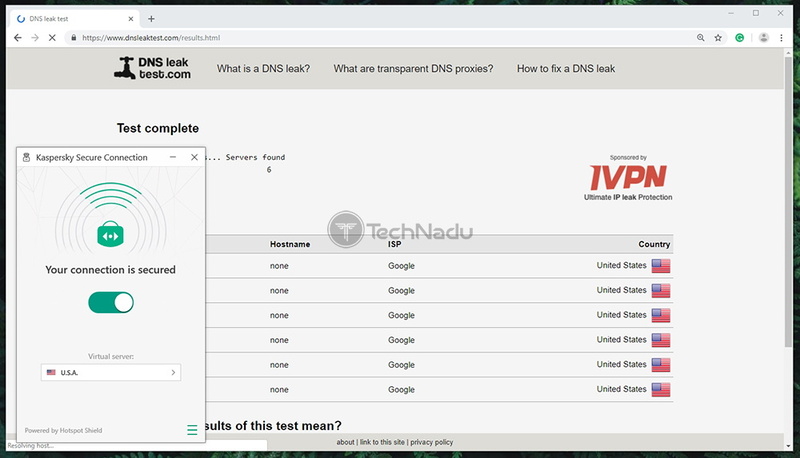 As you can see from the screenshot above, third-parties can only see what Kaspersky serves them – and that is your virtual IP address, hostname, ISP, and country. This means that no active leaks are happening, so this VPN can protect you at least from that aspect. Kaspersky slowed us down by 35.9% on average. However, you can expect your result to vary based on the server you select. Our Score: 6/10. In general, you can expect from VPNs to slow down your Web connection a bit. However, the best VPNs out there can make this barely noticeable. To see what to expect from Kaspersky, we’ve done a round of speed tests. First, we start by checking the speed of our ‘naked’ Web connection. This means keeping the VPN disabled so we can establish some baseline data. And as you can see, we got 147.50 Mbps for downloads and 9.61 Mbps for uploads. Now, it’s time to power on this VPN service and see how the speed changes. The performance of a nearby Kaspersky VPN server. We’ve allowed Kaspersky to connect us to the nearest server. Since we’re located in Europe, we have had several options and got connected to a server in Ireland. This time around, we got 43.19 Mbps for downloads and 6.99 Mbps for uploads. This is a tremendous speed loss, and we expected a much better result for a nearby server. The performance of a remote Kaspersky VPN server. Then, we connected to a server in the USA and run another speed test. Surprisingly, we got 145.78 Mbps for downloads and 6.26 Mbps for uploads. 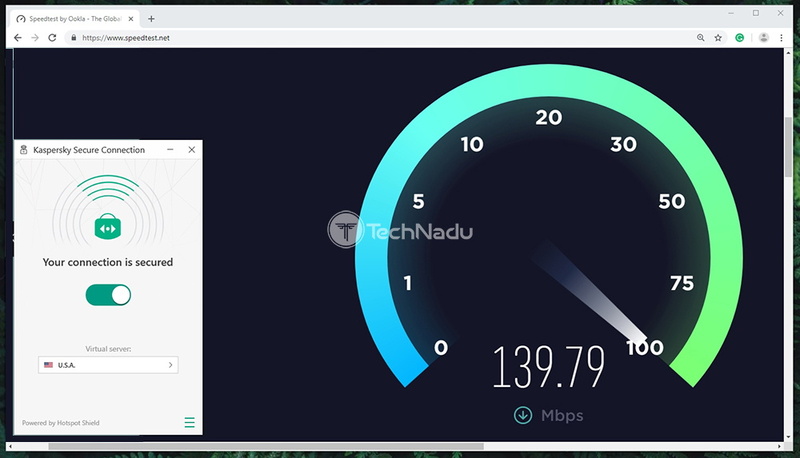 As you can see, the download speed is close to the speed of your ‘naked’ Web connection, so kudos to Kaspersky for making this happen. On average, this VPN slowed by down by 35.9%. All in all, this is a pretty good result, a bit above the average. However, we didn’t like that the performance varies greatly between nearby and remote servers. There are numerous ways to get help and have your questions answered. However, this experience can easily be overwhelming for average, home users. Our Score: 7/10. Kaspersky is a huge company, offering products in 200 countries around the world. With this said, there’s a comprehensive customer support system, which can be somewhat overwhelming for average home users. Here are all the ways you can get help. Live Chat: Once you start to dig deep into the company’s customer support center, you’ll start to see a live chat icon in the bottom-right corner. We’ve used this option a few times and managed to get an agent each time within minutes. You can talk to the customer support team in English, and they seem to be quite knowledgeable and ready to help. Self-Help: There are plenty of troubleshooting guides, frequently asked questions, blog posts, articles, and everything in between. One could say that there are too many of these self-help resources, which means that you can’t easily find your way through this mess. Phone & Email: You’ll find a series of phone numbers and email addresses that let you contact different branches of this company. It can take up to 48 hours to receive a response, so be prepared to wait for a while. Support Tickets: And finally, you can open a customer support ticket by logging to your account on the official website. Once again, it can take 48 hours to receive a reply. As said earlier, Kaspersky knows how to offer support. However, make sure to plan your steps carefully or you might get lost in numerous resources available. Considering everything it offers (and everything it doesn’t offer), Kaspersky’s VPN service seems overpriced. Our Score: 5/10. Kaspersky Secure Connection comes with two subscription plans. You can choose to pay monthly or annually, so let’s check out the prices. As you can see, Kaspersky’s monthly plan is priced at $4.99. Considering everything we said so far, we believe this VPN to be overpriced. Of course, the situation changes once you consider its long-term plan. You can save 50% when signing up for Kaspersky Secure Connection by getting its 12-month plan. This way, you will pay $29.99 per 12 months. Considering that this comes down to only $2.49, this now sounds like a better deal. Of course, this goes for those who don’t want to unblock media streaming websites and download torrents. So, we’re talking about average home users. Finally, you should know that Kaspersky supports a range of standard payment methods, including credit cards and PayPal. Sadly, you can’t pay with Bitcoin. And also, there’s a 30-day money back guarantee. Do We Recommend Kaspersky Secure Connection? Unless you’re an average home user not overly concerned about your privacy, we can’t recommend this VPN. It simply comes with too many downsides that beat its primary purpose. With this said, we’re sure you’ll find plenty of much better alternatives out there, some of which are even more affordable than this VPN. PROS: Simple to use; Fully automated; Above-average speeds. CONS: Collects plenty of data; Incredibly small server network; Very basic functionality; Can’t unblock media streaming websites; Complicated customer support system; Overpriced. OUR SCORE: 3.5 out of 10! 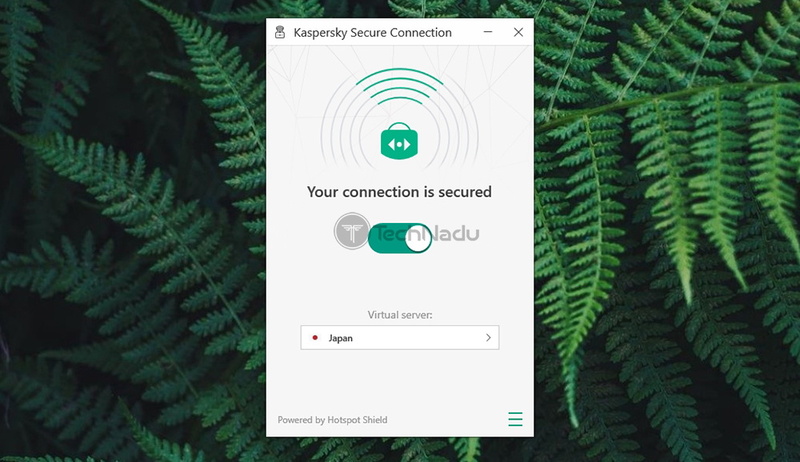 In case you need additional information about this VPN, make sure to check out Kaspersky Secure Connection on your own. The provided link will take you to its official website. And if you need more options, check out the best VPNs you can find today. In case you liked this review, we’d like to ask you to share it on the Web. And to stay on top of the latest VPN-related coverage, don’t forget to follow us on Facebook and Twitter. Thanks! Kaspersky Secure Connection is one of the least capable VPNs we’ve encountered yet. This VPN can’t take proper care of your personal data and can be quite limiting to the way you use the Web. With this said, we recommend you to avoid this VPN service and look for alternative options.